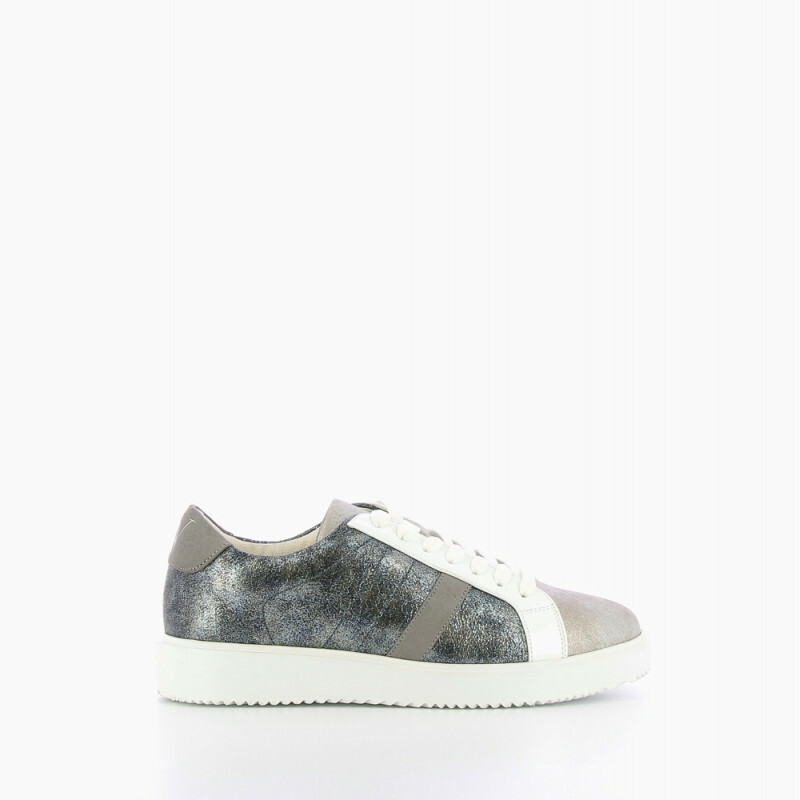 Textured effect trainers: charcoal grey print, iridescent grey upper, grey suede effect details, patent white flaps and white lace-up fastening. 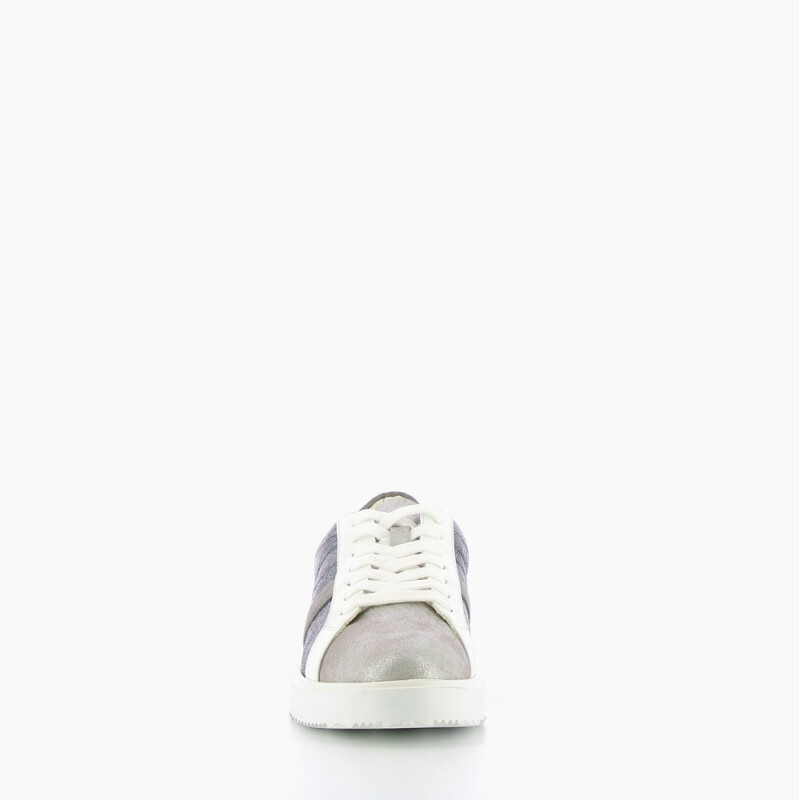 Round toe and contrasting white platform sole. 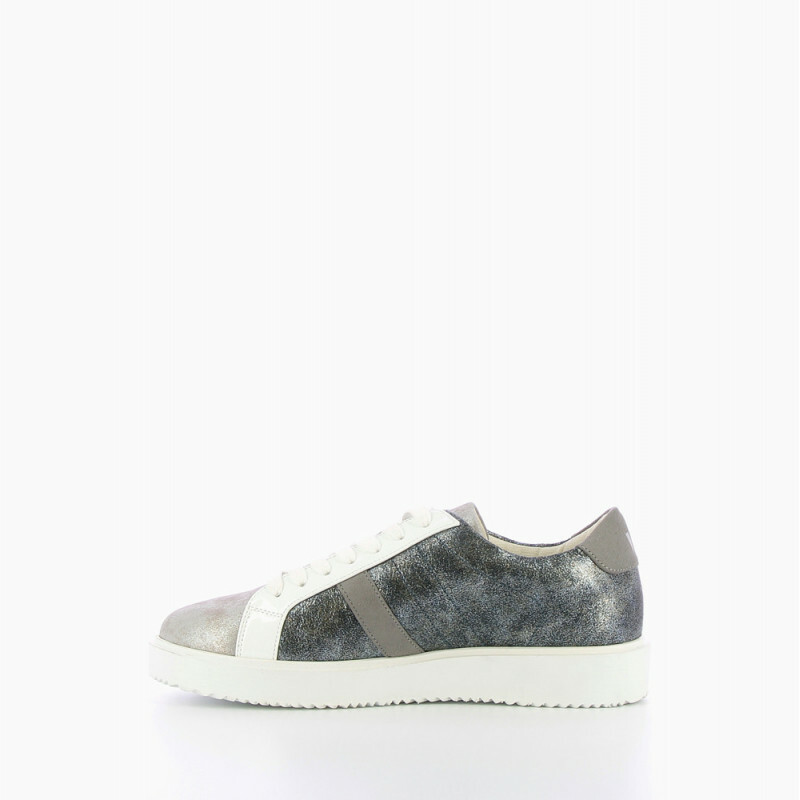 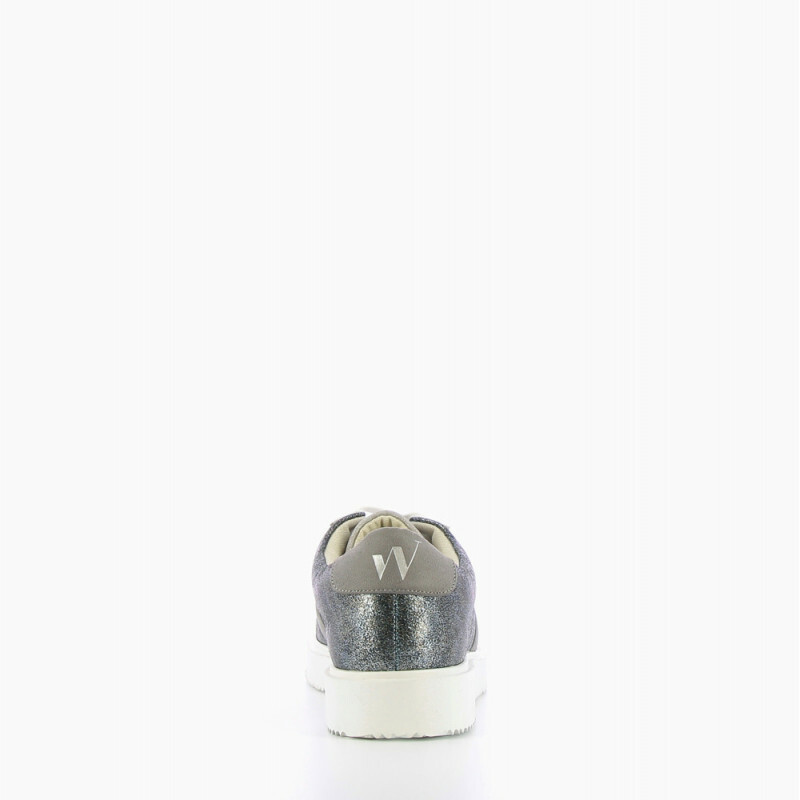 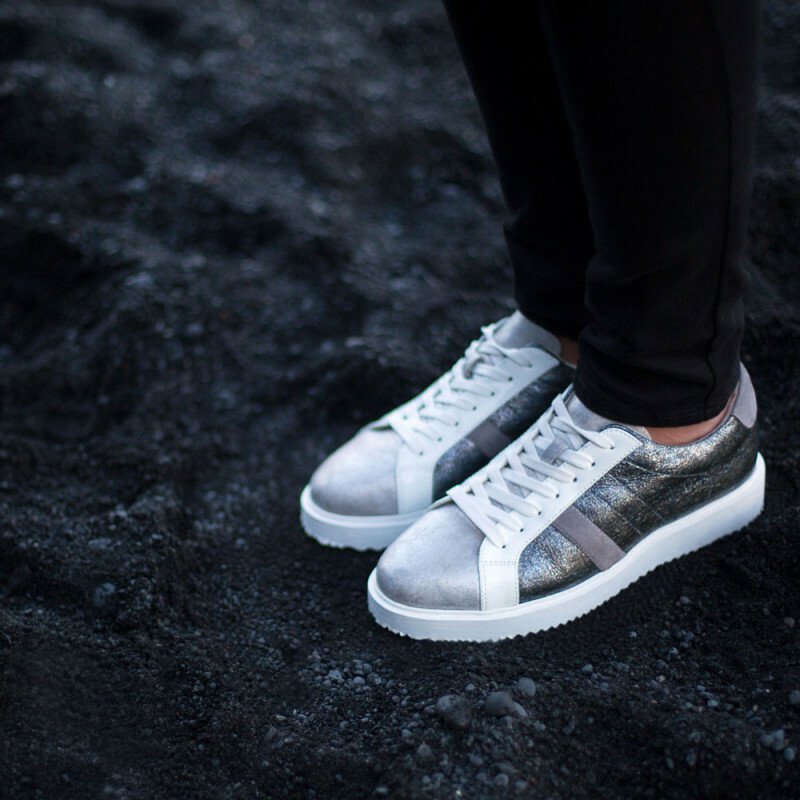 Vanessa Wu's detail: trainers for those who are looking for originality and for fashionisas who like to play with prints!